A woman demanded by the police is behind the pillars after revealing her whereabouts in an online spear on the power Facebook page. 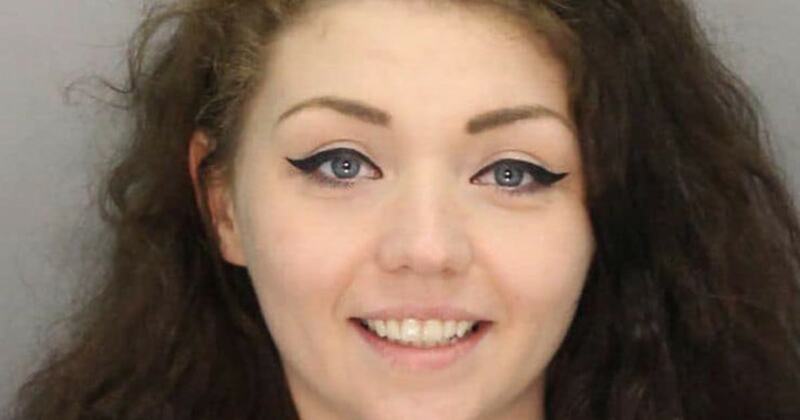 Chloe Jones from Waynesburg, Pennsylvania, was added to the Greene County Sheriff's Office "Top Ten Wanted" list on March 27, after she hadn't come to court for an assault charge. After mocking the list in a Facebook post As officers chased her, Jones said: "Do you pick up or deliver?" Her message was followed by four crying with laughter emojis. Jones was then involved in an argument in the commentary on why she had not proved to the court in the first place to defend against Facebook users accusing her of immaturity. "It's not fun to see yourself on a desired poster. It's embarrassing," wrote a person. "Turn yourself in, be responsible. It's not too late to turn your life around." Jones responded on the public side that she had not made it to court because she had been at Ruby Memorial Hospital in Morgantown, West Virginia, at that time. The fugitive added that she had sent her first comment from there. Jones was arrested earlier this week. Greene County Sheriff's Office released an update on Facebook on Monday night to thank members of the public in Pennsylvania and West Virginia – along with "many others" – to send them tips. "Ms. Chloe Jones and her twitter comments take a hiatus from our Facebook comments section because of the prison without having the internet for her to use" it reads.